If we look at today’s Gospel reading, we are being instructed that we need to prepare and to be in readiness for the Lord Jesus’s return. Despite many preachers having given exact dates for the return of our Lord, which were not correct, the Holy Scriptures tell us that Jesus will return soon. None of us knows when this blessed event will occur and therefore, we need to be found in readiness. 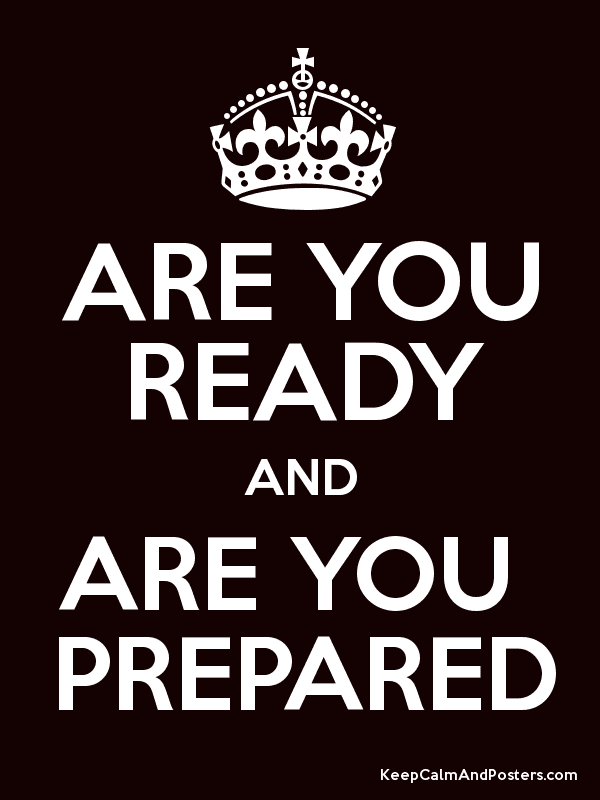 So when we look at our lives can we say that we are truly prepared should Our Lord Jesus return today? We need to ask ourselves what should we truly be doing? What changes should we be making in our daily lives? If we look at what we are told in Matt 24:3, we are indeed in the “last days” of civilisation as we have come to know and understand it. Jesus has informed us about the signs to watch for in regard to the last days before his return. False Prophets, wars, famine, disease, earthquakes and as we are well aware, these things are already well under way. Also under way, is the breakdown of decent society which was described to us by the Apostle Paul in 2 Tim 3:1-5. People are lovers of themselves, lovers of money and of worldly material things. the boasters, the proud, the blasphemers, the disobedient ,the unthankful, the unholy, the unforgiving, the despisers of good and those who love worldly pleasures instead of lovers of God our Father and Our Lord Jesus. So what should we be doing to ensure we will be fully prepared and not found wanting when Jesus returns? We must truly repent and turn away from self-indulgence and worldly lifestyles, we must ask God our Father to help us to sincerely change all and any unholy ways that will hinder our readiness. We need to more fully rekindle our faith as many of us seem to become only luke-warm in our faith lives. Many of us have not attended church; Bible reading and prayer seems not to be being learned as it once was. We need to get the fullness of our relationship with the Father back on track. We need to listen and understand more what the Lord is telling us in the holy scriptures. We must ensure the teachings of our lord are not just read but are also lived out in all aspects of our lives and only then will we be truly prepared. We must proclaim the gospel around the world, the good news of the love and salvation our God brings. We need not only to prepare ourselves but also to give the truth of the lord to all so that they also may get themselves into readiness. Father God, I come to you to repent of my sins and confess them before you Please forgive me. I have decided to shun the lures of sin and the love of the world. Help me to recognize deception and to resist every lying spirit sent by the devil to derail my faith in you. Help me to remain true and obedient to your command. I ask for divine wisdom to understand and believe your word and to act on it. I have made up my mind to come and to stay and walk with you.